As we get deeper into the holiday season, it's not uncommon for us crafty types to face a classic paradox: the holiday spirit fills us with inspiration to make things, but we have almost no time left to make them. To overcome the challenges posed by this paradox, we should consider the merits of the stocking stuffer. Stockings are one of the most cherished parts of Christmas morning—a big sock filled with little things, like candies and toys, soaps and lotions, silly dollar-store treats, perhaps a gift card or maybe a pair of earrings. And, in my family, there's usually something sweet and special like a handmade gift. The stuffed dolls from Kata Golda's Hand-Stitched Felt would make a perfect stocking stuffer. 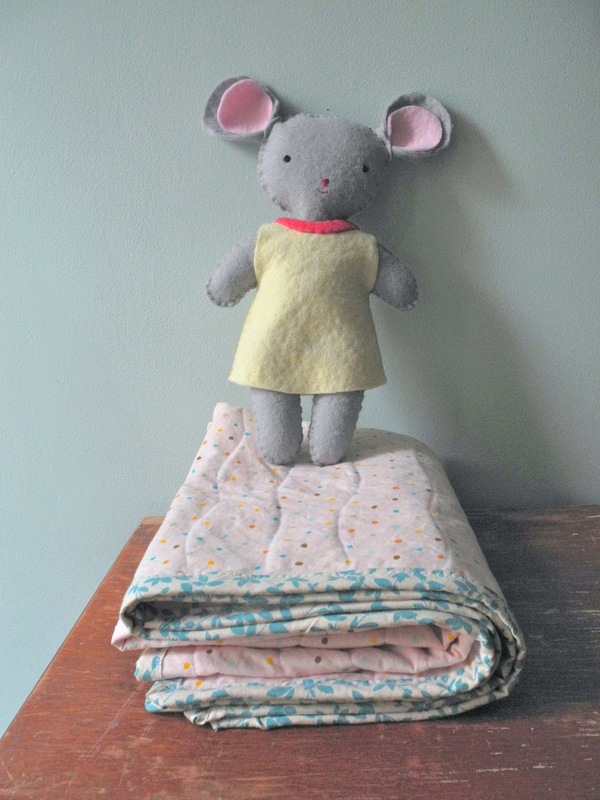 (Can't you see this mouse girl's sweet little face and arms poking out the top?) In the book, you can choose to make a mouse, a dog, or a bunny (as shown below), and the instructions could not be simpler. Just cut out your felt, sew the edges together with blanket stitch, and stuff! I finished the mouse girl shown above in a single night, beginning to end. And for those who want a stocking to match their stuffed animal, be sure to check out Kata Golda's Felt Fox Stocking tutorial on Creativebug! Still need last-minute stocking stuffer inspiration for everyone else on your list? 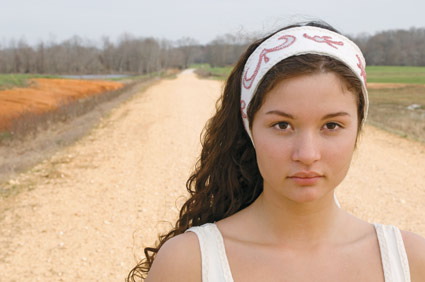 While you probably won't have time to hand-stitch an entire Alabama Chanin dress to give as a gift, this headband from Alabama Stitch Book works up nice and fast. Plus it only requires a bit of T-shirt fabric and a needle and thread, so you won't have to run all over town looking for materials. 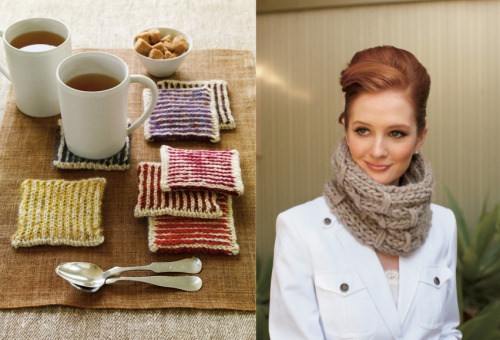 When taking on a last-minute knitting project, either keep it really small (like these coasters from More Last-Minute Knitted Gifts) or work with chunky yarn on big needles (like this cowl from Custom Knits Accessories)—the idea is that you want to be able to knock it out in just a night or two. Machine-sewers can make all sorts of cute little things on the fly. 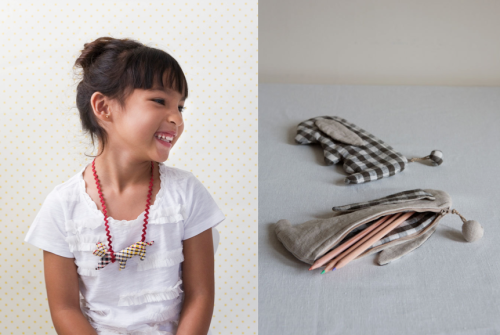 This little dachshund necklace from Wee Wonderfuls is a perfect way to use up irresistible scrap fabric, and the bunny purse from Zakka Sewing will make any little girl excited to go back to school after winter break. And don't forget the little stuffed kangaroo that Cristina made a few weeks ago! Easy, cute, and the perfect size to stuff into a stocking.